We act as Consultants, bringing together the full development team, expertise and disciplines to allow a single point of direct contact and responsibility for our Client. Development Consultancy encompasses the responsibility to analyse, assess, review and advise on the best strategic development practices on behalf of a client, in order to ensure that the site, or buildings, are given the ability to maximise value and opportunity. This page contains a brief summary of a selection of developments the practice has advised on. 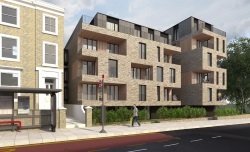 The property comprises a five storey hostel of 21,237 sq ft.
We obtained detailed planning permission for our Client for the erection a six storey building comprising 26 private apartments and secure bicycle storage. 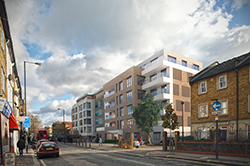 The property comprises a four storey office building of 28,274 sq ft. We obtained detailed planning permission for our Client for the erection a seven storey building comprising 52 apartments, 3 car parking spaces, 2 motorcycle spaces and secure bicycle storage. 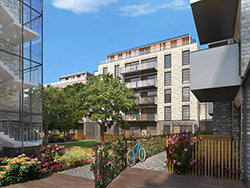 The property comprises three adjoining warehouse of 34,857 sq ft. We obtained detailed planning permission for our Client for the erection of four buildings ranging from four to six storeys comprising 82 apartments, 33 car parking spaces, 4 motorcycle spaces and secure bicycle storage.